you could even say we doubled down on it. So, are you wondering what kind of fun you can have with these? 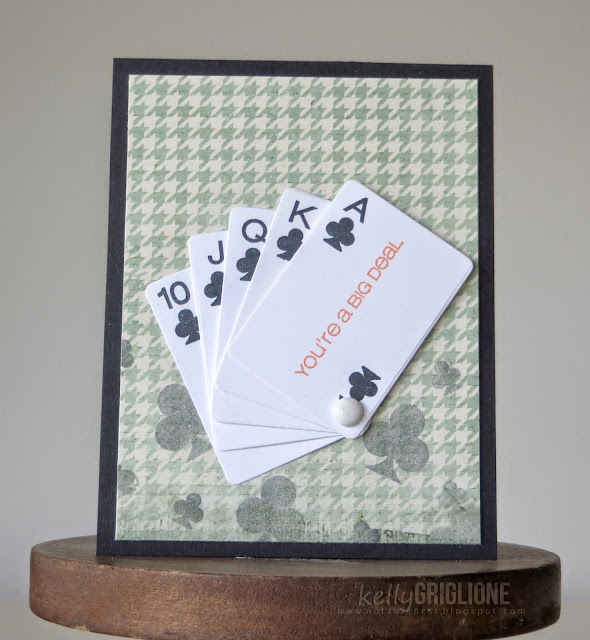 Doesn't it make you feel like getting a card game going? I don't know about you, but I rock at Go Fish! LOL! 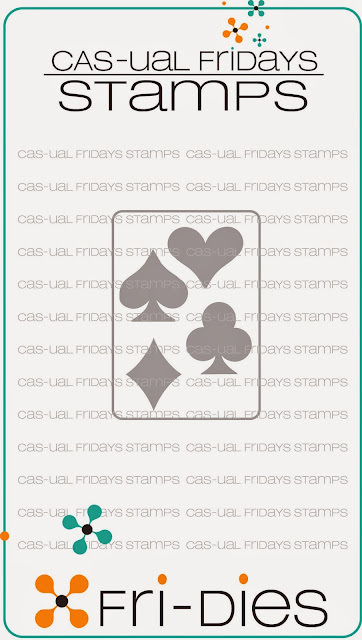 Be sure to check out our tabs at the top to see who carries CAS-ual Fridays! and you'll find it right here tomorrow. Very cool, I love the examples. the ring, congrats is awesome, Another great release. 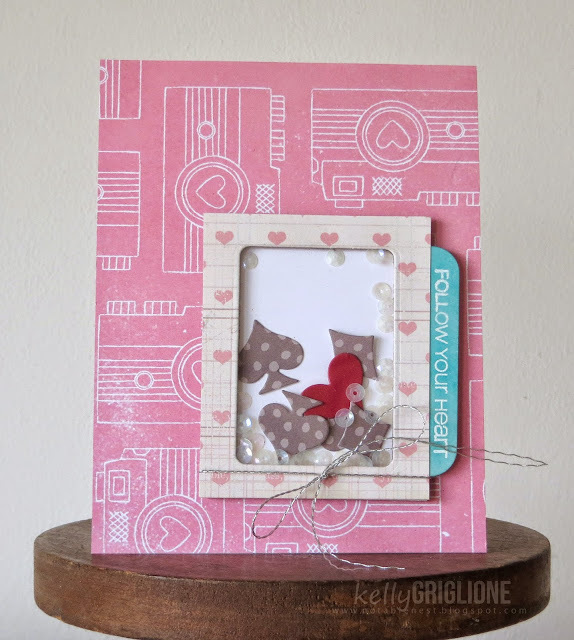 I absolutely love this stamp and die combination. Cas-ual Friday is definitely upping the ante when it comes to clever design. Awesome stamp and die set! Love all the cards here! Such a cool set - the DT inspiration is awesome. This is just AMAZING! I need these :) The DTs have done a wonderful work. 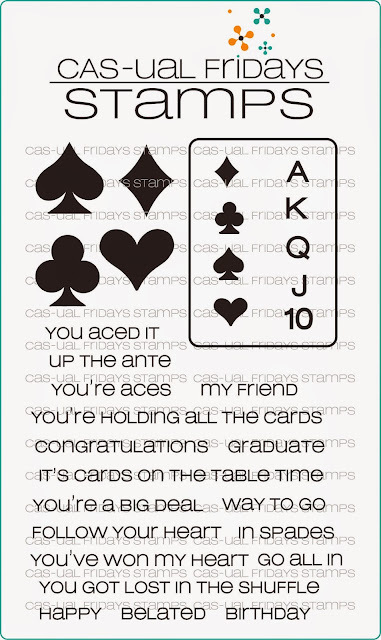 All the PLAY on words for this ROYAL FLUSH of winners. 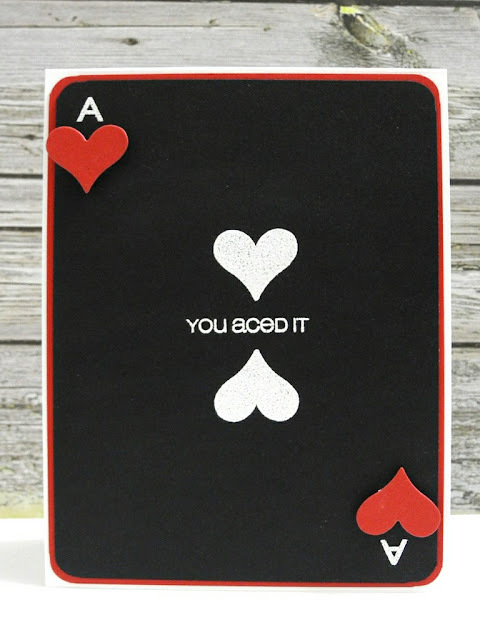 Can't wait to use for all my card playing friends. Super cool! Love all the sentiments with this set. Well, if this isn't a Royal Flush of amazing, I don't know what it! Fresh, fun, playful and oh so clever!! The DT showcases are, again, awesome!! A deck of dazzling delights!! 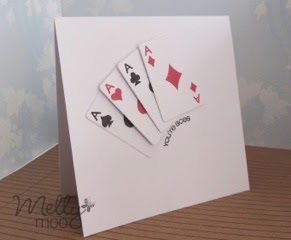 Such a creative set, the diamond on the ring card is fantastic, love that clever idea!!! I love it... this set has so many uses for it as shown here on your blog! Must have! 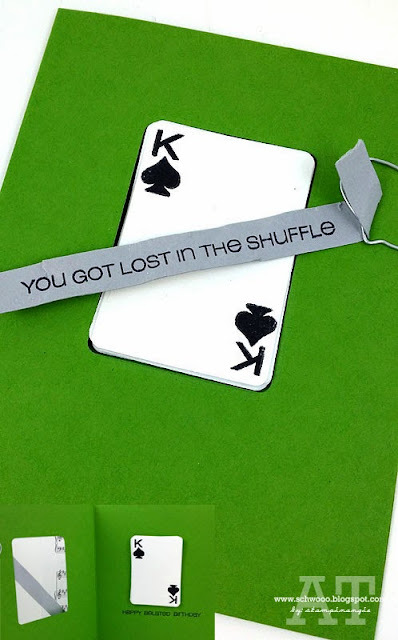 Cool new stamps and dies,like them very much.The cards you created are so amazing and funny,great! This is just so bold and never see anything the same! 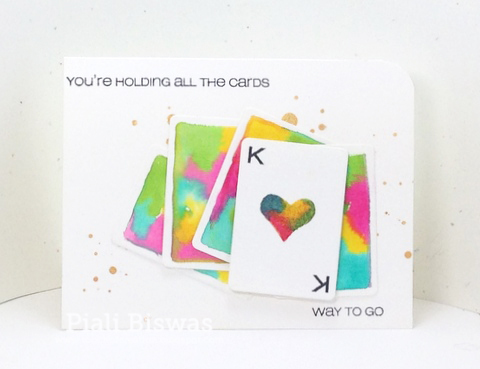 Bravo and I love the cards and sentiments so much! Another fabulous set of stamps & dies. I love all of the projects made with tem too. I absolutely love this new set and die! Wowe, great samples by the superstar DT Michele! Another fun set! 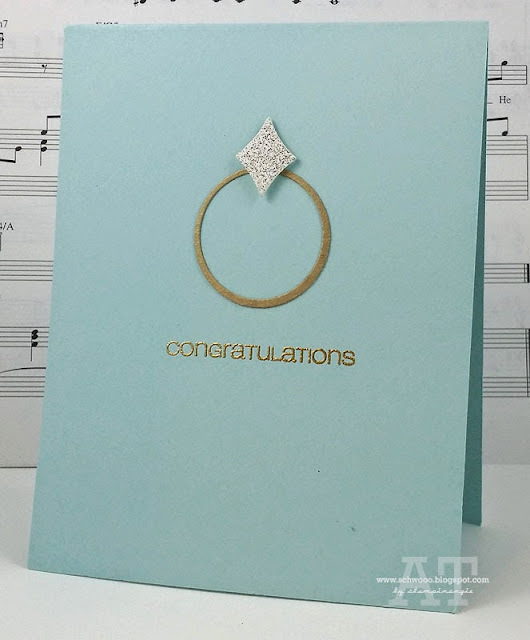 Love the diamond ring card. Such cool projects! 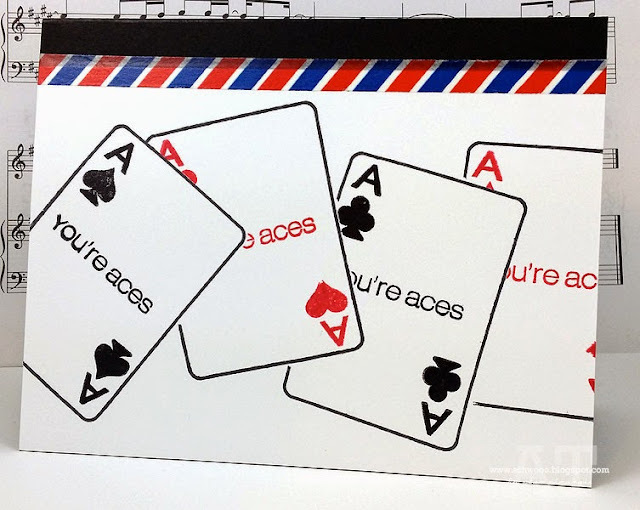 Love the Aces set! 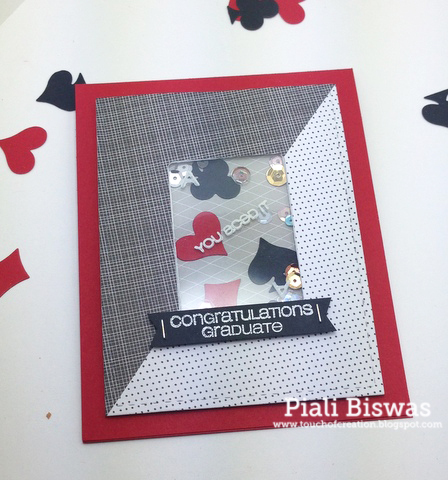 Love this set, playing cards stamps is something that was missing :) amazing creations by the team ! What a fun set. LOVE your great projects everyone. Thanks for sharing.